A great way to connect to the software developers and have your voice heard it to subscribe and add your thoughts about Docuware at Docuware.com. This should be done by every client and the key operators in your organization. 2: Click on SIGN IN at the top right hand of the window. 4: Add your email you wish to be contacted thru and a password of at least 8 characters and Confirm the password in the next text box. Then Click on the Sign up Button. 5: After a while you will receive a registration email from Docuware to confirm your account. Use the link to reconnect to Docuware. 7: Now you can go back to the Sign-In and use your new identity! You will get an Account Verification request. Finding HELP in the menu and entering that information as it is listed. 8: Now you will enter the Data about you so that Docuware can address you properly when they correspond. Check the address and phone tabs to see if the information is correct, they were gathered from your subscription. 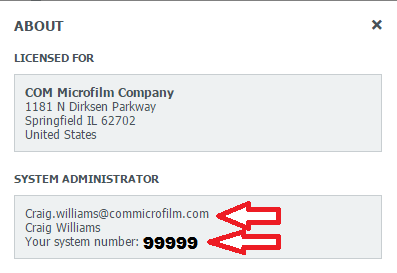 9: Select the notification tab and check the items you need Docuware to contact you about. 10: Now click Submit Changes and your account has been verified and is complete. You will now start getting information from Docuware as it is being sent out. Subscription information will tell you what versions you are on, the ability to download the license. You can often download the latest license and one back. User Feedback: http://docuware.uservoice.com/ provide feedback to Docuware on what you need Docuware to do and VOTE for your favorite ideas and features. If one of your favorite ideas is chosen Docuware will keep you up to date as to which version it will be released with.